This exceptional Elegant Custom home portraying classic style in the heart of Mount Royal is situated on a sweeping corner lot, offering ravine, park and city views. 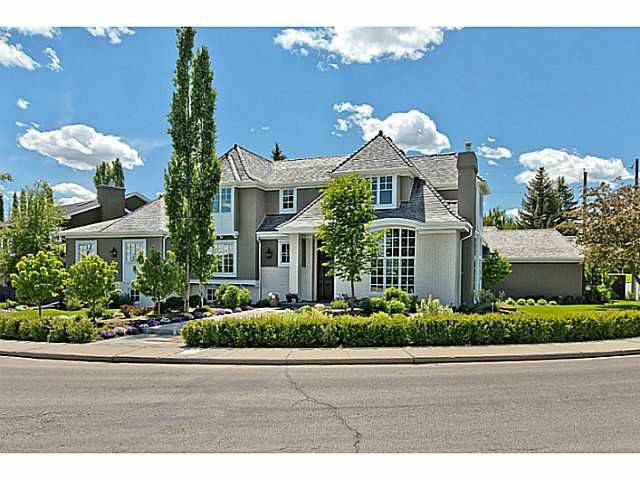 Recently renovated by Mission Homes with over 5800 sq ft of luxury finishing and a European flare of sophistication. A Gourmet Chef's kitchen with professional appliances, exquisite island with butcher block, bright breakfast nook and adjoining family room overlook the private SW facing low maintenance yard with outdoor BBQ station, lavish pool and patio area. The upper level is designed with an additional level of privacy w/ exceptional sitting/piano loung, master quarters w/ 5pc ensuite and spacious office. In addition, there are 2 spacious bedrooms, an open study, family room and bonus room. The lower level features a large rec room, 2 additional bedrooms, full bath, 1100 bottle wine cellar and more! Further features: Triple attached garage, 14' ceiling, walk distance to downtown and 4th street, private front and side garden.